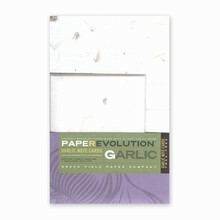 Our note cards are the ultimate in green stationery. 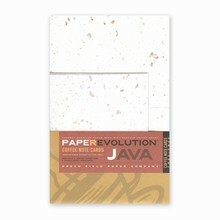 The A2 sized folded note cards are made from 100% recycled pulp and each is infused with recycled material. 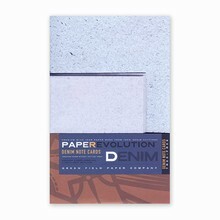 Our Denim note set is made with recycled blue jean fabric. 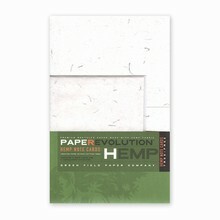 The Hemp note set is from scraps from a hemp clothing company and comes in green and natural white. Garlic skins from Gilroy, California is used in our Garlic note set. 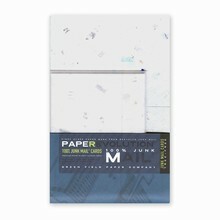 We accumulate our junk mail and make a special paper called 100% Junk Mail that is used in our Junk mail note set. The note sets come 5 to a package and include 5 vellum envelopes. 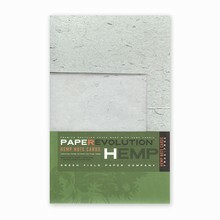 The vellum is from vegetable fiber that adds to the green stationery image. These note sets are the perfect way to convey your thoughts and wishes to friends or loved ones. 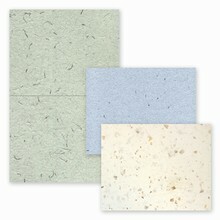 We also offer Thank You Note sets in our Grow A Note seed embedded plant able paper line. See us for all your green stationery products. Green stationery is good for the earth and good for you.